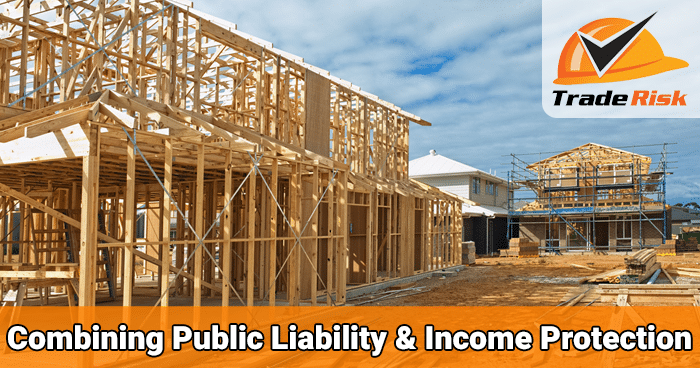 Home / Can I combine my Public Liability and Income Protection Insurance? 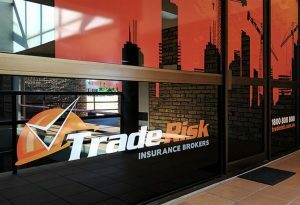 At Trade Risk we assist our clients with both business insurance – such as public liability – and personal risk insurance – such as income protection. 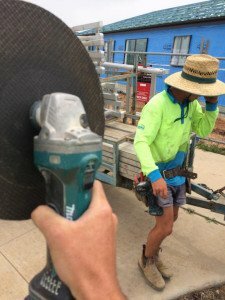 Both of these insurance types can be paid monthly, and occasionally we’re asked by tradies why they have to be paid separately and cannot be combined into a single payment. And we understand why. Of course it would be nicer to have a single monthly payment, but for reasons outlined below, it just isn’t possible. Ah yes, other brokers might tell you they can combine your public liability and ‘income protection’, but what they’re selling you isn’t really income protection insurance. Here’s the thing. Insurance brokers are not licensed to provide advice on proper income protection insurance. Instead they offer something which is goes by various names such as ‘accident and illness’ or ‘personal accident’ insurance. Quite often they’ll just call it income protection, as that is the term most clients and tradies are more familiar with. But if you want a real income protection policy, you’ll need to deal with a qualified financial adviser. Not all insurance firms will have one of these, but here at Trade Risk we want only the best for our clients, so we have qualified insurance brokers as well as our own financial adviser. So we can provide you with real income protection insurance. What’s the difference between real income protection and the other type that a broker will sell you? There are too many differences to list in this guide, but it’s safe to say that proper income protection is generally far more comprehensive in its coverage than the inferior options. But if both are still through Trade Risk, why can’t they be combined? Whilst both your business insurance and income protection are looked after through the same office, they must still be kept separate in terms of payments. This is because insurance brokers and financial advisers operate under different licenses. Both are under Australian’s Financial Services Licences, but both are in different classes. With our insurance brokers authorised under one licence, and our financial adviser authorised under another licence, the insurance payments simply must be kept separate. Furthermore, the two different classes of insurance are paid for differently when choosing the monthly option. When paying business insurance monthly, you are using a method known as Premium Funding. In this case a third-party pays the annual premium, and you repay them in monthly instalments across the year. But when paying income protection of life insurance monthly, you’re simply paying the insurance company directly via monthly instalments. It might not sound too different, but from our side of things it certainly is. So the fact there are two different classes of insurance involved, and therefore two different licenses and insurance companies, means that monthly payments for the two just cannot be combined. Just because we can’t combine these payments certainly shouldn’t be a reason for any tradie to take the inferior option. Sure you’ll have two separate monthly payments with Trade Risk, but you’ll also have superior coverage (when comparing real income protection) and you’ll also have the benefit of accessing specialists in the two different areas. You’ll still be dealing with a single team operating out of a single office, and a single point of contact whenever you need to contact us. We can also arrange to have your monthly payments for both insurance types come out on the same day each month, to make things a little easier to manage. The one point we really need to stress is that if another provider is offering you a combined policy or payment for your public liability and income protection, it is almost certainly not real income protection and you may end up with inferior coverage. Having a combined monthly payment will be little comfort when you need to make a claim and discover that your cover isn’t up to scratch. But hang on… What if you’re happy to have a more basic policy so that you can combine premiums, and maybe save some money? What if you don’t really care about the cover, and just want the cheapest and easiest option to get onto the worksite? We wouldn’t typically recommend it, but if that’s your objective, we know that some level of cover is better than no cover at all. That’s why we’re working with our partners on a budget combined policy. It’s not here yet, but it will arrive in 2018 to give tradies yet another option for their insurance. Stay tuned for more announcements over the coming months.